Andy Keeler has been at CSI since August 2010. Prior to that he was a professor of public policy at the John Glenn School of Public Affairs at the Ohio State University. Keeler served as the Senior Staff Economist for Environment at the President’s Council of Economic Advisers (2000 – 2001) where he was a member of the US negotiating team for climate change and a diplomatic representative to OECD meetings on coordinating national sustainability policies. He served on the White House climate change policy teams under both President Clinton and President Bush. 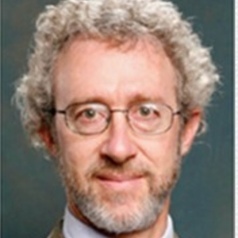 Keeler has also worked as a senior economist at the Environmental Protection Agency’s Innovative Strategies and Economics Group (1999-2000) and for the United Nations Food and Agricultural Organization (1982-1985). He has served in advisory capacities to legislative and executive agencies in Georgia, Florida, and Ohio as well as at the national level.